This legendary cannabis strain has been created in an auto flowering form. 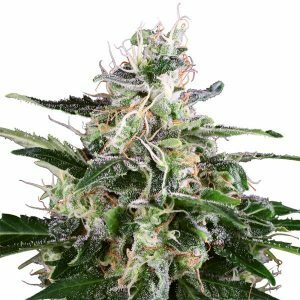 This complex auto strain can be cultivated indoor and outdoor and continues to be a heavy yielder. This plant is easy to cultivate and has huge buds that are covered with resin and very chunky, some support is recommended due to the heaviness of her branches.